For the last 9 years, I've owned a first-generation Aston Martin Vanquish. And, though it does come standard with some supercar foibles and what may be the world's second-worst transmission (the Smart Car is still solidly #1), it has been a wonderful vehicle, provider of more smiles per hour than one ever needs, even imperfect as it is. I am thoroughly convinced that, though it's not worth much in dollars today, down the road the original Vanquish will go down in history as one of the most beautiful supercars ever made. Which is why, when Aston informed us they were bringing back the Vanquish name plate for 2014, I got both excited and worried. The DB9 is a nice car, but too subtle for me. The DBS was also a very nice car, but to be honest, looked a bit like a DB9 with some bits tacked onto it. I'm glad neither of those cars were called Vanquish. 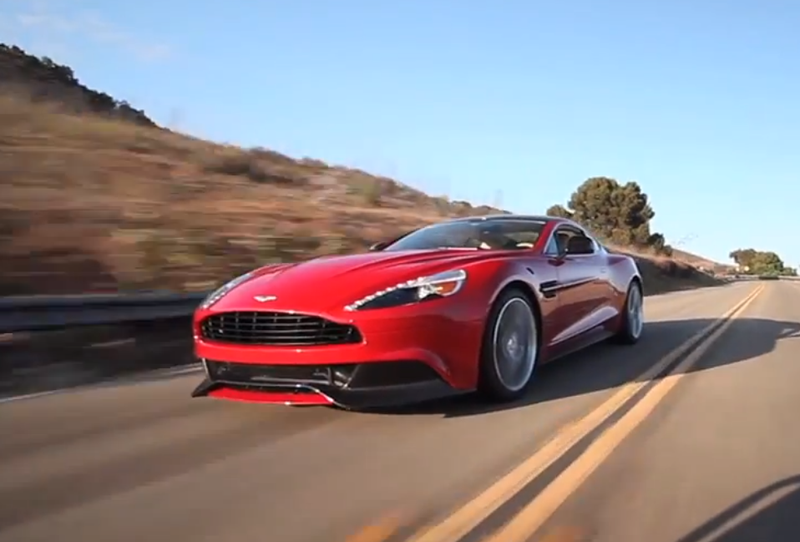 But after seeing the new car in person, driving it, and most importantly, getting it on video, I am convinced that the 2014 Vanquish is not only deserving of one of the best monikers ever, but it's also the Aston Martin everyone should aspire to own. We also got some behind-the-scenes footage of the Vanquish to show how we get the shots we get.